Our passion is To see people live their life for Christ. Led by Pastor King, our church home is in Swords Creek, VA but reaches out to all who are hungry. FREE TICKETS will be emailed to you or we can print them for you to pick up at the door that night. Show your daughter she is priceless. 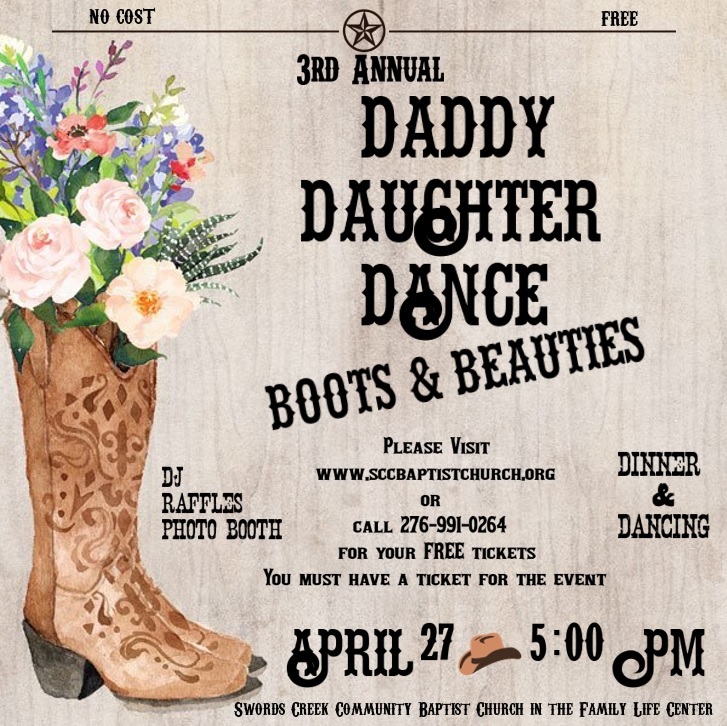 You and your daughter(s) will enjoy a night out together, dancing, dinner, inspirational speaker, photos, and lots of memories. It's all free!